Outside of her practice, Dr. Blade enjoys reading, downhill skiing and spending time with family and friends. Dr Blade is great, one of the best doctors I´ve had in the 70 long years I´ve been going to doctors. My problems are complex. I´m forever adding new challenges. I´m a hard patient to help but she really does try. I live far away now but still want to stay with her. I send her way too many emails and she likely does not get paid for all the time reading and replying for which I feel badly. She and staff are always good at responding quickly. The presence of the scribe allowed the provider to actually spend time looking and talking with me instead of being focused on documenting notes. Make this a standard of care. I couldn´t see my primary, Dr. Shenoy (who I really like) but since I could get in the same day I called I was scheduled to see Dr. Blade. She is so nice. Explained that I needed to see the eye doctor because she didn´t feel what was happening was life threatening most likely a retinal issue. She didn´t hurry, she listened to me, she asked many questions. I like the concern Dr Blade always exhibits whenever I see her about my medical issues. She genuinely cares about me and explains medical issues in laymen´s terms. I feel very comfortable with her and love her soothing southern accent. 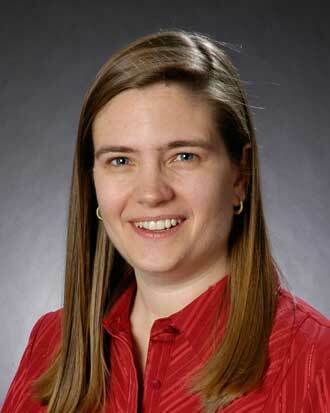 I SO appreciate Dr. Kristie Blade, her attentiveness, active listening, obvious interest in and care for my concerns. It was a stroke of genius to assign her a charting scribe so she can focus on patient care and spending the time required to address my concerns. Thank you. *Dr. Blade is great with her patients. *Dr. Black is wonderful! Very happy she´s my dr.
Dr. Blade is always the best!!! Doctor Blade is caring and thorough and honest. this is why I go to VM Lynnwood and Dr. Blade... she hits every point, remembered our last visit and engaged with follow up questions and shows care and will any address concerns with a response rather than a dismissive attitude. Dr. Blade is wonderful! I have very high regards for Dr. Blade! I´ve recommended Dr. Blade to many, many people. Her compassion, knowledge and ability to see when you really ought to see a specialist is everything I need. I´ll cry for months if she ever leaves! Exceptional provider! Have recommended her many times. Dr Blade is great. she´s been my doctor for a long time. Dr. Blade is personable, caring, and very knowledgable. I never feel rushed and always feel like she is totally focused on me during an appointment. Highly, highly recommended. Dr. Blade is outstanding! She always listens carefully to my concerns and never acts disinterested. We discussed a medication concern I had and together agreed on a solution. Dr. Blade is very caring and empathetic. I was very pleased that provider took my concerns seriously, and did appropriate follow-up to investigate. She is also very responsive on the secure message exchange. I feel like she does everything she can to help investigate my concerns, and help me take care of my health. Kristie Blade is the best. I have moved far away and will continue to drive to see her. Dr Christy Blade was involved in my issues with medication reactions and also probed further into how I self-medicated for the days when I could not get any appointment to see a doctor--making my UTI that much worse. She did not go off-topic and was sensitive and professional. I hope to be able to see her again! Dr. Blade is a wonderful doctor. Dr. Germino is my PCP but I´m very pleased with Dr. Blade and will see her _____. #4. EXCELLENT. This was the first appointment I´ve had w/ Dr. Kristie Blade. She was immediately reassuring and interested. She allowed me to express my concerns, give my history, and ask questions. I felt at ease w/ her and felt informed about the various possibilities of what could be causing my problem. She told me what kinds of tests she was ordering, and what we would be looking for from each of them. I left the appointment feeling reassured and in good hands. I appreciate the rapidity of the help I received, since it was the end of the year, and Christmas season, and everyone did so much to help me get the testing I needed done in spite of the fact that it was a very busy time for scheduling the testing. Dr. Blade is excellent. Particularly appreciated her quick response with the results of my ultrasound. I have several friends who would like to be seen by Dr. Blade. unfortunately for them, she is not taking new patients. But this is what I like about VM. You´re not trying to pack in more patients than can be reasonably seen. I always feel Dr. Blade takes enough time with me and helps me solve any problems I may have. She´s the best! I have been a patient of Dr. Blade´s for years and she has always shown me nothing but kindness and concern. Love Dr. Blade - She is an exceptional doctor. Dr. Blade was awesome as always! Even though she was behind she still took her time to answer all my questions. Love her! I already have recommended Dr. Blade to people I know. Dr. Blade is always engaged and thoughtful. Dr K. Blade is the very best! My care provider was most excellent in picking up where we left off. I hadn´t seen them in quite some time but they were very helpful and friendly in getting me the information, prescriptions, and next course of action that I needed. time spent was short but that was all that was required. sufficient based on need. I feel Dr. Blade always takes the time with me to answer all my questions. I never feel rushed or like she is in a hurry. My experience with Dr. Blade have been very positive and I trust her with my life. Dr. Blade was awesome! We had a med scribe there (Andrew) and he was very pleasant too. GREAT _____ Program and hope it stays as it does free up the doctors time to concentrate on the patient. Dr. Blade is very good and professional in her duties. My health is very important to me and having her as my dr. I feel like I´m getting great health care service. Dr. Blade has always been very caring, attentive, and calming. I never hesitate to recommend her to friends and family. Kristie Blade is outstanding! She listens, asks questions, and discusses diagnoses and prescriptions in a thoughtful, concerned, straightforward manner. She is my doctor for life! The Doctor gave us a couple of neat tips that we are now using . Dr. Blade is great and that is why she is my PCP. I absolutely love Dr Blade and completely trust her. Dr Blade is a very compassionate doctor with great bed side manor. Every time I have seen her she answers all my questions and gives great advise. Dr. Blade is an exemplary physician that has a profound insight about the psycho-biology of her patients. She is a very astute active listener and extremely inclusive in her diagnosis and treatment planning. I have never experienced a doctor that has actually listened to me before; that is, and will always be a refreshing appeal to the medical community; as most doctors usually tell you what to do and how to think about your affliction; instead of inquiring from you about your affliction! Dr. Blade actively seeks information from you (the patient) about your perception and how your affliction is interrupting your way of life. She truly understands that a medical affliction has a strong impact on your emotional well-being as well as your financial, biological and overall basic essentials in life! Her medication evaluations are through and she will not hesitate to inform you if you are being irresponsible in following your prescribed medications. This is very pleasing to have someone ask you about yourself instead of someone telling you about you before they even meet you! Dr. Blade is a definite role model for our future interns and doctors that are diligently training to serve the public. Dr Blade is an amazing doctor. Dr Blade is professional yet compassionate and always listens to my concerns, offers treatment options and gives me the time needed to address my complicated plan of care. Dr. Blade has been the BEST provider I have ever had. I don´t plan on changing anytime soon. Dr. blade has been very understanding and nice ever since I first saw her (back then because my prmary physician was on vacation). So I did ask the clinic to switch her as my primary physician. You will feel no pressure whatsoever every time you visit her. She respects you as a patient and will tell you what needed to be done and let you decide if you are ready to do it or not. She would tell you what needs to be done but won´t force you to do it if she thinks it will not put a danger to my life. I moved to Washington about 3 1/2 years ago and chose Dr. Kristie Blade through the Virginia Mason website and feel very fortunate that I did. I have had several health issues and have felt that I could not have found anyone more caring, thoughtful, helpful, concerned and easier to talk to than she is. I have extremely high confidence in Dr. Blade; I am pleased to be under her care. Dr. Blade is a GREAT doc! I am so glad I found her. And the Lynnwood clinic location is incredibly convenient for me so I hope she stays there for a VERY long time.